In the fall of 2008, a group of drummers and pipers joined together for the purpose of marching in the Cabbagetown Festival Parade. The event proved to be such a success that these individuals decided to come together and form their own band under the name of the Cabbagetown Pipes and Drums, and their mandate was to celebrate Toronto’s diverse communities, and play quality music that would both challenge and delight the players and audience alike. With the unique structure of inviting members to join the band, the numbers quickly grew over the following year and a half. 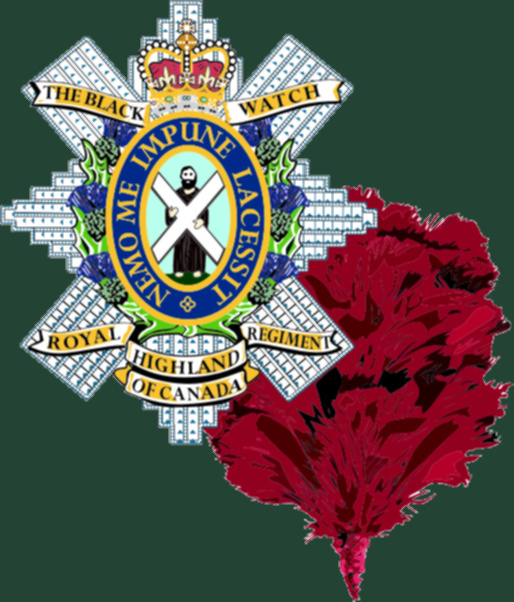 With the great fondness and direct relationship that most of the members had with the Canadian Forces, it was decided in the winter of 2009 to approach the Toronto Black Watch Association and ask them to consider affiliation. At the Annual General Meeting of the TBWA, a vote was put to the membership and it was decided to grant the affiliation, forever changing the name of the band to the Toronto Black Watch Association Pipes & Drums. The TBWA P&D was established with the goal of supporting the Regiment in various activities around the province, as well as entertaining Veteran’s, participating in Remembrance ceremonies, as well as remaining true to their original goal of lending their talents to diverse events throughout the communities in the GTA and beyond. The band also has teaching as part of their mandate and people are encouraged to contact us for lessons on both pipes and drums. Since their inception, the band has been remarkably busy, participating in the Cabbagetown Festival, Roncesvalles Polish Festival, Beach’s Celtic Festival, British Isles Show as the duty band for the 3 day event, the Montreal Gathering of the Bands where they joined the Regimental Band and the Montreal Association Band to play en masse. The Niagara Grape and Wine Festival Parade, an evening at Caroline’s, the Ben Wicks, the 100 th Anniversary of the Titanic Launch in Queen’s Quay, the Annual Red Hackle Dinner for the Toronto Black Watch Association, Royal Canadian Legion Levee Day, the East York Canada Day parade, as well as other individual events such as weddings, funerals and life celebrations. The band wears two uniforms, in keeping with the Regimental history. The pipe corp wears the Royal Stewart tartan, having been granted the right to do so by the British Monarchy by way of Regimental Headquarters, and the drummers wear the Black Watch tartan. Both tartans are very common in the piping world and are easily recognised, but only those in the Regimental band or the Association bands will be seen wearing both. The band wears an Argyle Jacket and vest, which can be mixed and matched according to the occasion. Unlike the Regiment, the band does not wear the Red Hackle and Balmoral, but wear the Black Watch Officers cap badge upon a black glengarry with no ribbon and red tourrie. Rounding out the uniform are brown sporran, green hose during the day, white hose during evening or formal engagements, black oxfords during the day and ghillie brogues during evening or formal engagements. The band is available for parades, events, trade shows, product launches, funerals, weddings and just about anything you can think of.